By standing sideways on your board you put weight on one side differently than you do the other. 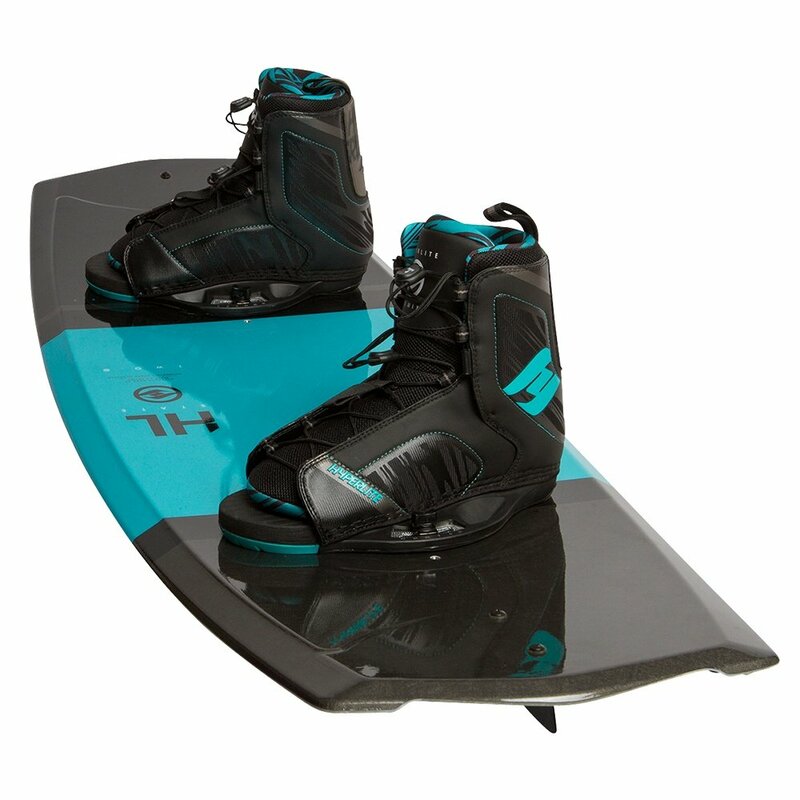 To counteract that, the Hyperlite State 2.0 140 Wakeboard Package is built with an Asymmetrical Design which puts risers under your toes and extends the length of molded in fins on that side. This gives you more leverage and better control, making riding feel more balanced and letting you transition more fluidly from edge to edge. On top of that they're packaged with Hyperlite Remix Boots, a highly supportive and exceptionally comfortable option that not only offers cushion and support for the serious pop you'll get from the Abrupt Continuous Rocker Profile, they also have adjustable sizing so you can let friends take a turn without swapping out for new boots.